If time is enough, foreigners might usually choose Beijing as the first stop of their China Tibet tour. Of course, the convenient transportation either by train or by air is a big advantage, but the unique charm of Beijing also draws a lot of followers. Beijing, the capital city of China, is well-known as its long history and a booming economy. It’s also a famous tour place where you can learn Chinese history by visiting the amazing Forbidden City, the sublime Temple of Heaven, the awe-inspiring Great Wall, etc.. 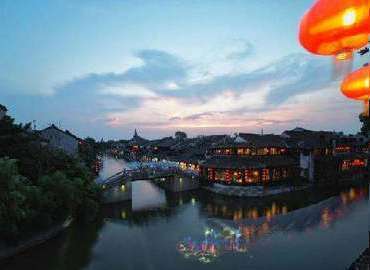 Besides, you can sleep one night in Hutong, one kind of typical house for Beijing folks, with a totally different appearance and strong flavor of living life compared to other cold modern buildings in Beijing. After 3~4 days stay in Beijing, tourists can go to Lhasa by train or by plane. It takes 44 hours to arrive at Lhasa by the only daily train from Beijing. It's a long-time traveling but you can have the wonderful sightseeing along the Qingzang Railway; the other hand it can help you acclimatize to the high altitude step by step. If your itinerary is tight, there are three flights flying to Lhasa from Beijing every day for your option. In Tibet part, Lhasa and Mt. Everest are the must-see spots for most tourists. 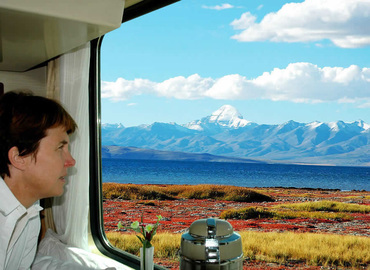 Depends on the different schedule, you can also choose an in-depth Tibet tour including the Holy Namtso Lake, Mt. Kailash, or some Tibetan festival tour as you like. You will see the gorgeous plateau landscape and feel the strong Tibetan Buddhist atmosphere. Overall speaking, you can witness the sharp contrast of two different nature and culture by joining Beijing-Tibet Tour. It’s a good idea to take a train to Lhasa from Beijing, the heart of China. Not only for the much cheaper price compared with flight, but also for the awe-inspiring scenery along the way. The train crosses from the north to southeast of China, which shows you the half splendid landscape of this mysterious country within 40:53 hours. It’s quite attractive, isn’t it? This is a great tour which will lead you to the three mighty provinces of China - Beijing, the heart of China; Tibet, the roof of the world; Sichuan, the land of abundance. You can visit all the must-see attractions of them by joining this 14-day private tour. This 15-day tour will take you to visit the six famous cities in China from east to west. You will have an opportunity to visit the capital city Beijing. Then take a short tour to Xi’an. After that, you are going to visit Lhasa, the roof of the world then fly to Chongqing to enjoy the breathtaking view of Yangtze River as well. This tour will take you to explore China like an insider. 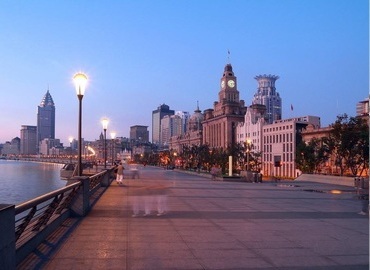 From east to the west of China, you will visit Shanghai - the fastest growing city in Asia, Xi’an - the ancient capital of 13 dynasties, Tibet - the mysterious holy land and Beijing - the heart of China. You won’t miss any highlighted attractions. Taking a flight or train from Beijing to Tibet is very convenient. Currently, there are 3 flights connecting Beijing and Lhasa every day, taking about 4 hours and 30 minutes. These flights are operated by Tibet Airlines and Air China, from Beijing Capital International Airport to Lhasa Gongga Airport. You may also take trains to Lhasa, Tibet. There is only one daily train(Z21) to Lhasa from Beijing along the Qinghai-Tibet Railway, taking 40 hours and 20 minutes. The climate of Beijing is distinct in four seasons with windy spring, hot summer, cool autumn, and cold winter. Spring is from March to May with much wind and dust. In April, the weather is changeable with occasional sandstorms. Summer begins from June to August with much frequent rainfall. July and August are the hottest months throughout the year with the highest temperature around 37 ℃. Autumn in Beijing falls in September, lasts to November with cool pleasant weather, and you can do anything in Beijing to enjoy scenic spots. Winter is from December to February with occasional snow. Generally, the temperature in winter is below zero, and January is the coldest month with the lowest temperature around -5℃. Therefore, the best months to visit Beijing are from May to June and September to October, but you should try to avoid the national holidays like Labor's Day (May 1st. to 3rd.) and National Day (October 1st. to 7th.). Beijing is very crowded with tourists during these two holidays. How to plan my tour in Beijing? You can spend 2 to 4 days for touring in Beijing including the most popular attractions like Forbidden City, the Great Wall, Temple of Heaven, Summer Palace and Hutongs. If you want to experience more cultural activities, explore other attractions and enjoy delicious Beijing food, please contact us and we will help you plan your trip in Beijing deliberately.